I would like to extend my deepest thanks to the participants in this premier edition of Monday Mixer for stepping up to the plate and doing such a wonderful job with what is, admittedly, a pretty daunting challenge. I know there are some tough rules but they are intended to help us grow as writers and refine our skills. Also, allow me to offer apologies for a few snags in the administrative end of things. Those will be ironed out with a bit more effort on my part. Lastly, apologies for the delay in announcing the winners. We caught some nasty freezing rain & snow mixed and I got to spend a good portion of the day out in it. 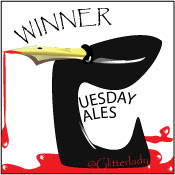 *shiver…shudder…shiver* That being said, let’s get to the good part…the winners & the bling. L.T. Dalin for her story A Ray Of Hope. Kudos and huzzahs for managing to work all nine of the prompt words into a single story. That was truly inspired. That being said, the story seemed a bit too contrived to me for working in so many disparate words. Lisa McCourt Hollar for her story The One. I do loves me a good Highlander rip-off. 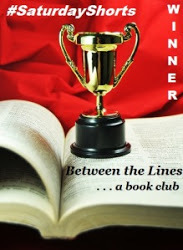 This story was another contender for Over Achiever and she did a fine job of working in five of the prompt words. If not for a wee bit of wording I felt could have been done differently, this would have been a contender for higher honors. Christopher M. Blanchard for his story Abraham & the Dragon. This was a really tough call with so many contenders. This was a tight story with a great progression and flow to it for working in five prompt words. It had the feel of a much longer work and led to, if not an ending, a very satisfactory conclusion. Jeff Xilon for his untitled story. I had an exceedingly difficult time deciding between this story and the Best Use of Prompt honoree. Both used five words making it an even tougher call. This was a delightful fantasy read and I enjoyed the interaction between the characters. Working both narrative and dialogue into such a compact space takes real precision and Jeff pulled it off wonderfully. drmagoo for his untitled story. Deciding on an overall winner was an especially difficult decision. It came down to a case of “sometimes less is more”. By deciding to only work in the three required prompt words, the story had a bit more breathing room to work in plot and context. It was a nicely done blend of gritty reality and ethereal elements that left a very favorable completed work. Please bear in mind my decisions are entirely subjective and may not find favor or agreement with all, but decisions are like that. For those writers not mentioned, no slight is intended and I hope next week will find you back for more. Now for the really cool part…prizes. All of the writers honored here will be receiving a Smashwords coupon code for a copy of Undead Ahead: Zombies, the first collaborative anthology by my wife Lisa and myself. Additionally, the remaining writers will receive a Smashwords coupon for a copy of my book A Cold & Dark Christmas, a collection of dark and disturbing holiday-themed short fiction works cobbled in with some additional content that is merely dark, disturbing and chilling in general. Here is the link to view and read all of the truly inspired offerings for this week. 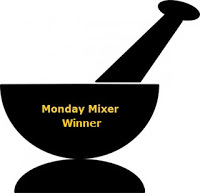 Please show a little Monday Mixer love and make a point of clicking on each entry and checking them out. Remember, each link clicked on takes you directly to that particular writer’s page and provides them blog traffic and, hopefully, feedback to encourage them to come out & play next week.